Why I read a previous book by Australian author Josephine Moon The Beekeeper’s Secret and was very impressed by it. So when a new book came out I was very quickly putting in a reserve for it at the library. Actually now I wouldn’t mind my own copy! Plot We first meet Lara in Italy – she has just arrived there from Australia. She meets a crusty old man,Samuel, her caring nature comes out and before she knows it she is working for him at his villa. He sure has a back story and so does Lara. Slowly all this is revealed. Both have had very tough life experiences. What Appeals To Me? It is set in Tuscany and a little in Australia. It has a wonderful Italian flavour and goats, cheese making and food is very central. The writing is excellent as well. I loved Lara and Samuel and felt for them both. The story unfolded perfectly. There is a little romance mixed in, but mostly its a wonderful family story, but with some very serious issues explored. I don’t want to give away those because to do so would to start giving the story away. And so… this is what I would call a keeper shelf book and I will be putting it on my list of 2018 top books. Why? I noticed this book on a couple of book blogs that I follow and I decided to chase up the book on their recommendation. I found it through our library system and as I put in a reserve for it I was first on the list and read a beautiful new hardcover book. Plot The story centers around admitting girls to a sorority in what’s known as Rush. At ‘Ole Miss’ university in Oxford Mississippi. It is told from a number of viewpoints, a few girls, a mother and a housemaid at the Alpha Delt house. As well this book explores the lot of black Americans and racial injustice. What Appeals to Me? Ha! Firstly as a person living in another country it took me awhile to work this whole sorority business out, but I think I have a sort of understanding of it now! Wowee though, in this book the cost per year was a little mind blowing. I liked though the idea of friendship, kindness and forgiveness in this novel. The contrast of rich and less wealthy and the fact that its not what counts when it comes to the value of a person. I loved the characters, all of them even Mrs Whitless Whitmore was somewhat understood at least. I really liked the social justice aspect and the fact the girls were willing to do something about an issue right in their midst. I felt the book had a universal aspect to it and I could identify with issues and characters, especially Wilda, one of the mothers. And so… I’ll certainly look out for other books written by Lisa Patton, a new to me author. I first noticed this book when I read a review by Kristin at Always With a Book, I made a note of it to read sometime in the future. When I was browsing our local library shelves there sitting facing me was a pristine copy of the book, so I felt the time had come to read it. The library rose a few more degrees in my esteem, for already having it on its shelves here in New Zealand! 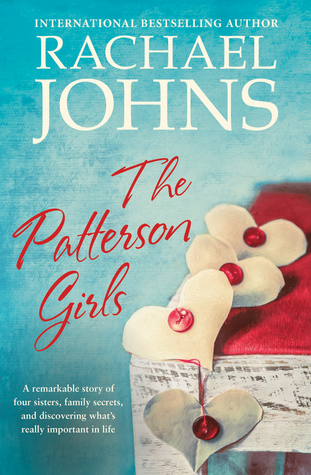 Jodi Thomas says on the cover – “Characters with rich, complicated lives…. Beautifully shows how a family comes to be”. As Jodi Thomas is a favourite author of mine, I needed no further incentive to read. Each chapter is alternately spoken by two women. It is addressed to baby Carolina, and while that sounds a little odd it works perfectly. Frances Mason – Khaki to those closest to her, is a very successful interior designer, mother of Alex and wife of Graham. They live mostly on a farm in Nth Carolina, but they also have an apartment in New York. Khaki has it all and is very happy, but the one thing she would love is another child to add to their family. Jodi is a cousin of Geoffrey and while he has had a well adjusted life, Jodi has not been so lucky with an alcoholic mother and a father who died. Jodi also reaches for the bottle when things become stressful. So when she is pregnant at nineteen, she fears that her baby is going to end up having the same kind of life as she has had, and she doesn’t want that. With an aching heart Jodi comes to a decision that she hopes will give Carolina the love and sense of family she wants for her. Khaki has a huge loving heart, and as the story progresses she makes decisions that are right for her and her family, so by the end she is very grounded. Jodi – so young, has a wonderful sense of planting and growing and is an expert in canning and jam making. She knows if she can keep busy she may have a chance of overcoming the need to drink. She too has a big heart and I enjoyed her evolution during the span of the novel. I really enjoyed this book, I think anyone who enjoys women’s fiction, and the exploration of parenthood, love, trust and strength and growth will find it right down their alley. It’s hard to believe this is a debut novel, it’s so accomplished, totally agree with Jodi Thomas! After a decade-long career combating wildfires, Elizabeth has traded in for a quieter life with her husband. Now she works as the local arson investigator in a beautiful, quaint town in the Rockies. But that tranquil life vanishes when she and her husband agree to divorce, and when a fire started in nearby Cooper Basin begins to spread rapidly. For Elizabeth, containing a raging wildfire is easier than accepting that her marriage has failed. For Elizabeth’s ex-friend Mindy, who feels disconnected from her husband and teenage children, the fire represents a chance to find a new purpose: helping a man who lost his home to the blaze. But her faith is shattered by a shocking accusation. As the encroaching inferno threatens the town’s residents, Elizabeth and Mindy must discover what will be lost in the fire, and what will be saved. 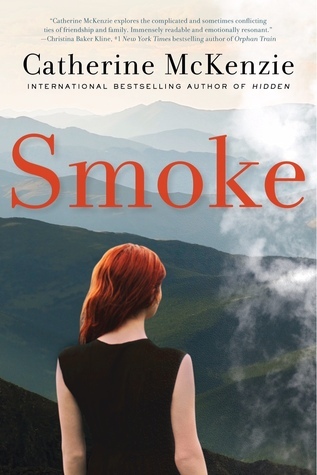 Smoke by Catherine McKenzie was a riveting read, that contained mystery, family and friendship drama and the terrifying experience of an out of control fire surrounding a town. When we meet Elizabeth she is at odds with her husband Ben. They are about to begin pursuing a divorce, although what has caused the rift is not revealed at the beginning. It takes time to gather up all the facts and miscommunications and break down in trust. One of the heartbreaks that they have had is up until now their inability to have children. Mindy was Elizabeth’s very good friend up until about a year ago when there was a distinct break to their friendship. The hurt thrust them apart and has never mended. Mindy is the mother of two, Carrie and Angus. In the last year Angus has been more distant in his relationships with his family and Mindy worries about him. A fire has burned down John Phillip’s house, it has grown and swept into the surrounding hills and bush. Who started the fire? About half way through I’d picked my person – but I was wrong! Tension in the relationships, along with the mystery of the fire and the emotions of the characters kept me reading on. Can there be any hope for these people or will distrust and hurt and being unable to forgive win? This was my first book by Catherine McKenzie but it won’t be my last! Lies and secrets. Are they okay? Can they bring trouble? Who do they hurt? Well Izzy Lane is about to find out. She is a single mother, with a delightful five year old son Noah, and she has returned home to her family home and the neighborhood she grew up in. She wants to move forward after her divorce from Bruce Silverstein. In the next door house is the delightful older woman, Mrs Feldman. Izzy spent much time with her when she was growing up, and now that relationship takes up again, in all its trust and honesty. Izzy also has a very good friend Jade and a cousin Rachel who together make up a small team of supporters for Izzy. She has a job as a school counsellor and everything is moving along fairly well until Bruce reneges on his child support and heads off. Izzy is left wondering how she is going to cover costs when Jade who has a successful online social media business gives her a spot on her online media so that she can extend their audience with a Philly over Forty spot. Izzy will cater for those over forties, who are single again, or single parents or…. whatever. But Izzy is harboring a secret. In her previous blog she had invented “Mac” a boyfriend who is not real and Jade very much wants him part of the Philly over Forty scenario. So Izzy who is always drumming up the moment to reveal her lie – doesn’t. Throw in a jealous co worker, a somewhat enigmatic lawyer, family and a swag of online commenters and you have a whole neigborhood of people. 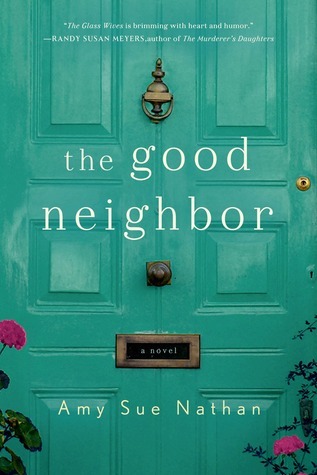 Who was the good neighbor? Still pondering, but I think Izzy and Mrs Feldman definitely and that whole neighborhood on Good St. On the other hand everyone is our neighbor, so how good a friend and neighbor is Izzy all round? My favorite character was Izzy. I am going to go out on a bit of a limb and say what she did I did not find that terrible. Maybe because it’s written in the first person and I could understand her point of view. However she did fail to trust her friends and that could be the crux. I found the fallout from the reveal somewhat severe. At 95% I was thinking…. really! I really enjoyed the read, definitely one that I’d enjoy discussing in a book club situation. 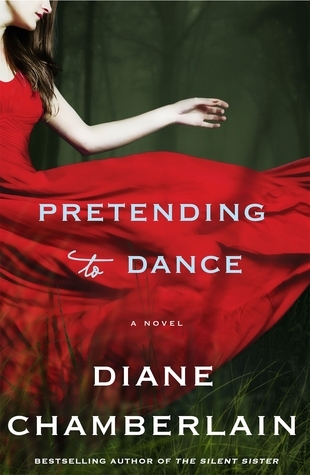 Pretending to Dance is a heart wrenching, gut punching, emotionally engaging read. I am still feeling some sadness, some joy as I close the book. Wowee, Diane Chamberlain has again written an amazing book exploring so many issues of the day. Molly and Aidan, a married couple in their late thirties are wanting to adopt a child and are going through the tough highs and lows of applying. They are a strong, loving couple – they believe honest communication is really important. Yet while Aidan appears to come from a settled family who are still present in their lives, Molly is not so fortunate. Her father is dead, and she says her mother is too. But Molly isn’t entirely living out her value of honesty with Aidan, and doesn’t want to risk sharing with him her real story. The novel swings between the journey of Molly and Aidan in the present and the Molly of long ago when she was fourteen and living at Morrison Range in North Carolina with her family. Step by step her life there throws light on the real Molly. Her Dad is a therapist and he and Molly have a very close relationship. Molly is just beginning to explore her independence and exploration into relating with adolescent boys. Her ground is shaken a little as she learns some things about her life that she never knew, and finally sends her into orbit when her Dad dies. She is suspicious and unforgiving of her mother and leaves, cutting off all that she has known. I loved the people at the Range and the struggles they were challenged with. The way they protected Molly and yet hurt her deeply. While Aidan – Molly’s husband is more of a background person I loved how he was able to be there for Molly in important ways. This book is a celebration of family and the gift of a child with all the joy and worries and grief those things brings. As Molly’s Dad would say most if not all families are dysfunctional, yet many are filled with life and love. This book explores tough issues in a very compassionate and believable way. You’ll have to read the book for yourself because to discuss them would be to give too much of the plot away. This is a book that will open your heart and enable you to walk in another’s shoes. Loved it. And I just have to say the last four lines give a final punch to the story. 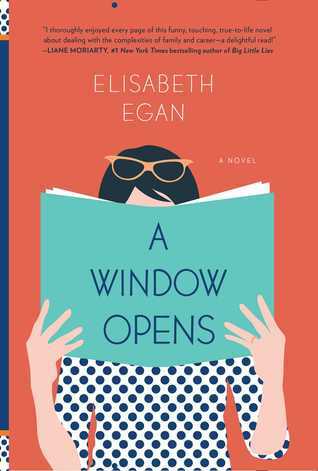 Alice is the main character in a Window Opens by Elisabeth Egan. The story is told in the 1st person. She is a mother of three, a wife to Nicholas. Her parents live nearby and her Dad has an illness that has robbed him of his voice, but not his fun with texting. When Nicholas decides to begin out on his own and hang up his lawyer’s shingle for himself, Alice is worried about the finances and decides to seek a job of her own. She lands a job at Scroll – a place that wants to be cutting edge in book sharing with the public. It seems after jumping through the hoops Alice is the one they want on board. As time goes by Alice begins to ask herself is this what she really wants? Her hours are long and she is losing touch with her children. Also Nicholas has difficulties of his own. While Scroll sounds like ‘the place to be’, all I could think of was the story of The Emperor’s New Clothes. It also reminded me of some work places today, it was eerily accurate and captures what is happening in more than one work place. It was worth reading the book for its ironic viewpoint. When Alice’s father takes a turn for the worse the exploration of sickness and what follows is very real. That’s what I liked about this book, it is so exactly what happens in life. It is also thought provoking and perceptive. I also liked the small windows of insight that Alice gains and the ultimate choices she makes. Book lovers will enjoy this book, as it is somewhat set in the world of books and Alice’s love of reading and bed time stories are honoured. This is a debut novel, one very worth reading. I will definitely be reading the next book by this author. I trust there will be one! Meet Elisabeth Egan in this short video. In The Patterson Girls we meet four sisters who have just returned home to their home on the Eyre Peninsula in Southern Australia. It will be their first Christmas together at their home – the Meadow Brook motel without their mother who died earlier in the year. Madeleine is the oldest and works in Baltimore in the USA as an obstetrician. She has always been the one with a matter of fact approach to life. Lucinda comes next. She is married to Joe, lives in Perth and teaches young children. Her main desire in life is to become pregnant and add to the large Italian family that Joe belongs to. Charlotte or Charlie works at a cafe in Melbourne, she feels a little inferior to the others, has never been to university and thinks the others look down at her somewhat. Abigail is the youngest, a talented violinist, lives in London and doesn’t want the others to know she has been sacked from her job in the orchestra. As they gather together it is tough finding their father just not himself and the motel going into the ground. Going through their mother’s clothes they find an old card that indicates a curse on Patterson women. But what? Aunt Mags, their Dad’s sister, is the one who gives them the answer. This starts off a different set of events for each sister that leads to a whole chapter of events in their lives. The only one who seems to be exempt from it all is Charlie who has remained at the motel after Christmas to help her dad out, and in doing so renews her friendship with Mitch, one of the local lads. There is many an ‘adventure’ for each sister as the novel unfolds, each struggles with the challenges and opportunities offered. But ultimately it seems the curse overhangs them like a dark cloud. This is a story of how when the chips are down family comes together, and how honesty and sharing can bond sisters together. It examines the stress of how trying to become pregnant can put a lot of pressure on a relationship and asks what ultimately really matters. I enjoyed the exploration of a modern group of people being put under pressure and entertaining the idea of a curse. 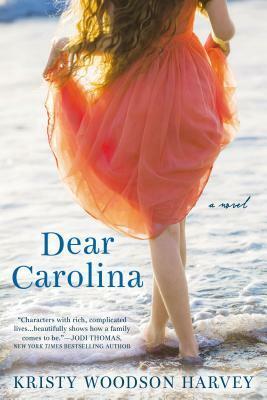 A warm, thought provoking story of family, loving and living life meaningfully and fully. 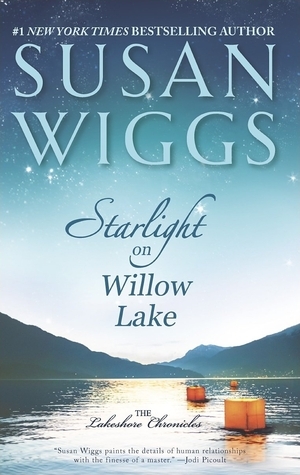 We’ve reached #11 in the Lakeshore Chronicles by Susan Wiggs with Starlight on Willow Lake. I’ve enjoyed every one of them, including this one. I’ve tended to think of this series as contemporary romance, but Starlight I think falls more into the women’s fiction realm, as the emphasis is on the growth of two women and two girls. Yes there is some heartwarming romance, but its not centre stage. Faith is in her mid-thirties, she is a struggling widow with two girls, Cara a teen and Ruby a second grader with diabetes. At a crucial time, Faith lands a job with Alice Bellamy in her beautiful house beside Willow Lake in Avalon. Alice is a quadriplegic and Faith is a nurse. Faith is the right person for Alice, she is a straight talking, perceptive carer who will trigger many a ripple in the Bellamy household. Alice’s sharp commands are ably countered by Faith, her experience and ability not to get hooked by Alice’s anger and dejection are just what Alice needs. Alice is also a widow and lost her husband in the same misadventure that she was badly injured in by an avalanche in New Zealand. Now she moves about in a wheel chair that she blows into so she can move about. She has been a keen athlete in the past and being in a wheelchair now is not easy for her. She thought she had a rock solid marriage but she has just been shaken up by a letter that has arrived from France. Cara and Ruby are both delightful and there presence calls out the best in Alice. She finds herself challenging the girls and in doing so meets many a challenge herself. Ruby has so many fears, yet by the time the story is told so many of them have been faced. Mason her son is persuaded by Faith to return to the house by the lake from Manhattan because she believes it is essential for Alice to have his support. He has an almost fiance, but as time goes by and as more of the weeks pass, perhaps Alice knows more than he does about affairs of the heart. I loved the characters, all the little details and warmth of family. The struggle and courage of both Faith and Alice to overcome what life has thrown at them. There is a theme of hope, love and living fully, and delighting in the talents and gifts given. While this is part of a series, it can very easily read as a stand alone book. Susan Wiggs has woven her magic again. Sigh of satisfaction! 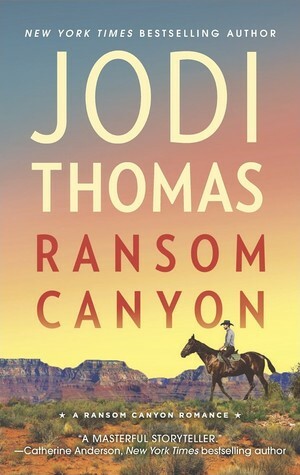 Firstly I welcome Jodi Thomas to the Book Date and then read on for my review of the first in her new series. With seven generations of my family in Texas, of course I write about the state I love. In this new series I’m going more modern-day western than I ever have. Step into the life of small towns and ranching with me. I promise, you’ll fall in love with the people of Ransom Canyon. I knew I had to open RANSOM CANYON with Staten Kirkland. He is a well-respected rancher who believes he needs to work harder than any hand he hires. He’s strong and honest and broken inside by the death of his only love, his wife. When his son is killed during a storm a few years later, Staten runs to a quiet woman who has been his friend since grade school and his wife’s best friend. Shy Quinn asks nothing of him. She offers understanding amid the storm of his life. Their friendship develops into a gentle, loving affair that grows to rock both them with its depth. Staten will have to learn to love again and Quinn will have to open up to someone. The whole town watches the birth of passion and love as Staten stands beside her letting her be strong, and quiet Quinn discovers one man’s love can wash away all the pain in her past. Through storms, cattle rustlers, and facing Quinn’s greatest fear, they fight for each other as the whole town stands behind them. Readers will feel, not like they came to visit, Crossroads, Texas, on the edge of Ransom Canyon, but the town will start to feel like home. My goal as a writer is to keep you up late reading because you have to know what happens next. So, saddle up with me and step into RANSOM CANYON. With a degree in family studies, Thomas is a marriage and family counselor by education, a background that enables her to write about family dynamics. 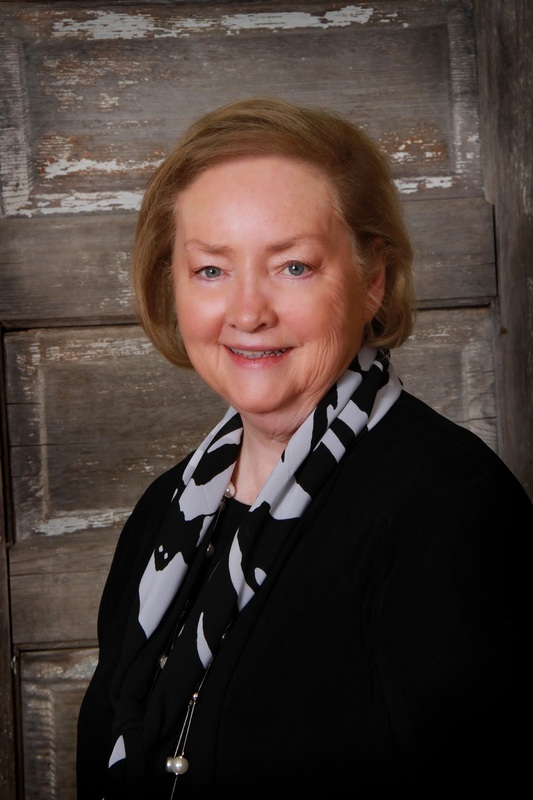 Honored in 2002 as Distinguished Alumni by Texas Tech University in Lubbock, Thomas enjoys interacting with students on the West Texas A&M University campus, where she currently serves as Writer in Residence. Commenting on her contribution to the arts, Thomas said, “When I was teaching classes full-time, I thought I was making the world a better place. Now I think of a teacher or nurse or mother settling back and relaxing with one of my books. I want to take her away on an adventure that will entertain her. Maybe, in a small way, I’m still making the world a better place.”When not working on a novel or inspiring students to pursue a writing career, Thomas enjoys traveling with her husband, renovating a historic home they bought in Amarillo and “checking up” on their two grown sons. The prequel to Ransom Canyon (Winter’s Camp) is available free until 31st August at B&N and Amazon until the 31st of August. I loved both Winter’s Camp and Ransom Canyon. I highly recommend. I certainly love to settle back and enjoy the adventures she takes her readers on. My thoughts on Ransom Canyon follows. Staten Kirkland – rancher, lost his wife a number of years ago when she died of an illness and a son who died five years ago in a car crash. He’s a fifth generation Kirkland and he could be the last. He is in his early forties. Quinn O’Grady – lavender farmer, a friend always to Staten’s wife and is in a sort of relationship with Staten but as the book opens there is nothing formal about it. She also has something from her past that has hurt her badly. Lucas Reyes – wrangler. Young, just setting out with his eyes on college. Has integrity. Lauren Brigman – daughter of Dan Brigman the sheriff. Finds herself early on in a situation that is a turning point in her young life, along with Lucas, young Tim O’Grady and Reid Collins. (Son of a rich rancher). Yancy Grey who just got of a truck at Crossroads and is just out of prison. Point of fact he has one blue and one grey eye. The Old Timers – all ex teachers who are living in a rather down at heel ex motel complex. Among them is Staten’s grandma. Do not discount them. They are a load of fun and add immensely to the story. As soon as I was in a couple of pages I relaxed, recognising I was in the hands of an experienced and adept storyteller. I loved it from beginning to end. It’s a western with cattle and horses, a shootout, some mystery, some romance. The baddies get their come uppance and the goodies shine. There is drama and humour. FABULOUS. I am already looking forward to Rustler’s Moon the next one in this series. For more than a decade minister Analiese Wagner has felt privileged to lead her parishioners along a well-lit path. Her commitment has never been seriously tested until the frigid night she encounters a homeless family huddling in the churchyard. Offering them shelter in a vacant parish house apartment and taking teenage Shiloh Fowler—a girl desperate to rescue her parents—under her wing, she tests the loyalty and faith of her congregation. Isaiah Colburn, the Catholic priest who was her first mentor and the man she secretly longed for, understands her struggles only too well. At a crossroads, he’s suddenly reappeared in her life, torn between his priesthood and his growing desire for a future with Analiese. Divided between love and vows they’ve taken, both must face the possibilities of living very different lives or continuing to serve their communities. With a defeated family’s trust and her own happiness on the line, Analiese must define for herself where darkness ends and light begins. 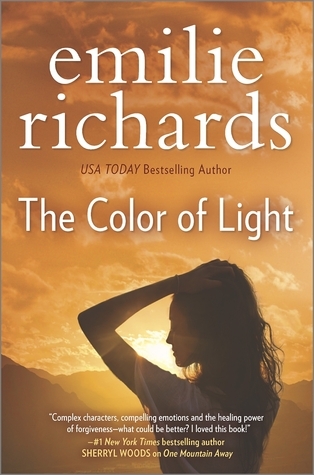 The Color of Light is #4 in the Goddesses Anonymous series by Emilie Richards. It is one of my top favourite series and the The Color of Light just added to the allure. When Emilie Richards writes of church she has a ring of authority and compassion. A vision that is inspiring. And so we have in this novel the story of Analiese the pastor of the local church. Annaliese is the kind of pastor I’d want for any and every church. She is strong, caring and compassionate. She is not about institution, she is about people. However the life of a pastor is not an easy one. If you belong to or have belonged to a parish of any kind, I am sure you are aware of the variety of people and their politics. That must be very taxing as a minister tries to follow their calling and deal with all the other minutiae that goes along with the role. Annaliese has a lot to contend with, often no time to eat or call her own. But she has a calling to ministry and it goes deeply into her being. Annaliese welcomes a homeless family into a small apartment that is attached to the church when she finds them preparing to camp out in the cold. The Fowler family play a big part in this story and through it a church is offered the chance to explore what church is really about. This family has many problems and at the beginning it is Shiloh a fourteen year old that holds them together. How best to help them? There are a variety of ways, but which way is going to lead to self respect, dignity and eventually the chance to be independent and whole again as people and as a family? Isaiah is a Roman Catholic priest and Jesuit, arrives in the area, taking time out to explore his calling. Analiese and he have known each other many years ago, when he helped her discover her calling to ministry. However they have not been in contact for many years until now. I thought Emilie Richards explored his path and journey very well. I was very satisfied finally with the way he made his choices in line with his calling. Of course we meet other characters from previous books and see their lives continuing to take shape. We see the struggles of the homeless, we see a very topical issue facing the church and Annaliese – one that Annaliese handles extremely well. While it is foreshadowed before it happens I don’t want to discuss it so as not to give away the plot. This book oozes warmth and humanity at its best and occasionally at its weakest. My heart was deeply touched by an “I love you” and the response to it. And no, it wasn’t between Annaliese and Isaiah! Story telling with sensitivity and at its finest.